Xiaomi Mi A2, the second Android One phone from the renowned smartphone manufactures, is now official in India. Featuring many top of the line specifications, the phone comes at an affordable price of Rs. 16,999 in India, and is up for sale via its exclusive retail partner Amazon and Mi’s online stores. Xiaomi’s Mi A2 sports a good 5.99-inch FHD + display with shockproof Gorilla Glass 3 on top. However, a little more protection could add many years to your new Xiaomi’s Mi A2. Therefore, we have listed a few affordable Mi A2 cases for your convenience. These covers are not just aesthetically pleasing, but also manufactured from resilient materials that adhere to the industry’s standards. Read More: Xiaomi Mi A2 Review – The New Cruiserweight Champion? Although, this rubber based case might give your Mi A2 a rugged appearance, it ensures that your device is completely protected from all types of impact. This Mi A2 exclusive cover safeguards your phone primarily from dust and shock, while its smart design imparts protection to your phone’s screen. There is a centrally placed support handle on this cover that allows one to sit the device on the table, as shown above, and comes in handy while watching a video on the phone. Even if Portuguese failed to leave an impression during this year’s FIFA Football World Cup, this plastic case featuring Ronaldo will surely have a lot of takers, owing to his worldwide popularity. The case is easy to install and take off, and protects the phone as well as its display from drops and scratches very well. The print on the device does not wear off easily and keeps your Mi A2 intact. If you are particularly looking for a flip style cover for your new Mi A2, then the above case could be a good choice. Its flip cover has a transparent front, that allows the users to view notifications on the phone’s screen and while the cover is still on. The cover comes with a magnetic lock button that keeps the flip cover in place, while the attachment on the cover’s rear allows users to use it as a stand for the device for watching videos. This case covers your Mi A2 from all sides, guaranteeing 360-degree protection to your mobile phone. The special focus area for this case are corners and edges that are most prone to impact and its after-effects. 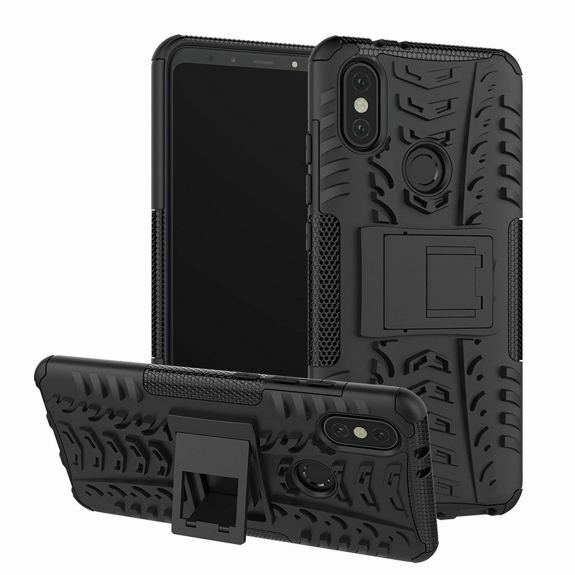 Not only is this case elegant, but also robust enough to endure accidents and drops. This ultra-thin cover sits so well on the phone, that it looks like a part of the phone itself. The cover does not sustain fingerprint marks due to a special anti-fingerprint coating on its top layer. Apart from all this, the cover also has cut-outs for buttons and sensors present on Mi A2. Besides red, this case is available in various other colour options. This leather-based cover doubles up as your wallet as well as phone cover. This is flip based cover has a 3 separate provision for keeping your money as well as business cards. Its leather finish imparts professional finish to your mobile, and does not pile any significant weight to the handset. If you want to flaunt off your brand new Mi A2, and yet planning to install a reliable cover on your phone, then this transparent FOSO cover will serve the purpose. This waterproof and flexible cover has bumps on all its edges, that behaves as a shock absorbing buffer, that helps slacken the intensity of impact. This leather-based flip cover has caselets for keeping money and business cards, thus doubles as a wallet and a phone cover. This ultra-thin cover is a lot lighter and than what it looks like, and its leather finish adds to the elegance of your phone. The phone also has a magnetic button for seamless locking-unlocking of your case. Celebrated superhero mashup Marvel Avengers cover is for all Marvel crazy Mi A2 user. This soft and flexible cover accommodates almost all the superheros on its face, and protects your phone from unwarranted accidents very well. The cover does its job well and Marvel fans will absolutely love this case! Solimo Flexible Back Case for Mi A2 has a soft coating that makes it easy for users to hold their phones for long. This matte finish black cover is available in a single colour option of black, and gives your Mi A2 a sophisticated completeness. The raised patterns on its rear acts both as a design element as well as impact cushion that absorbs shocks with ease. Mobicture’s hard polycarbonate durable Army print cover keeps your device safe from all possible injuries. The case features bumps on its edges that prevents scratches on the device, and provides all round protection to the display as well as the overall handset. I have sweaty palm therefore I was looking for an anti-slip cover.